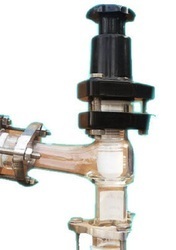 The Industrial Valves are essential part of any chemical process plant, pharmaceuticals and allied industries in a wide range of application from relatively simple on/off function to control, pressure relief and filtering.The valve bodies are of borosilicate glass and PTFE bellows. 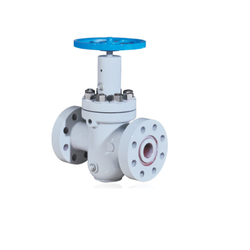 The PTFE bellows is flanged at one to seal between the valve body and bonnet part, as a result operation of the valve can be checked visually. 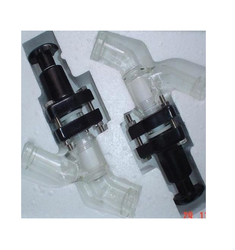 In practically every case glass is combined with PTFE, which ensures that the valves have maximum resistance to corrosion. 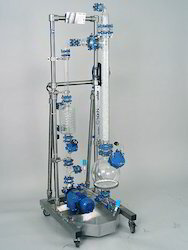 All the valves in the range are suitable to use under full vacuum. DN DN1 L C A T. REF. DN D L CAT REF. DN DN1 DN2 L1 L2 L3 TYPE CAT.REF. 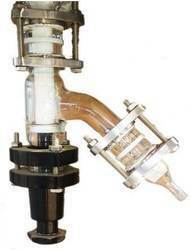 Angle valve can be provided in Both 900 & 800. 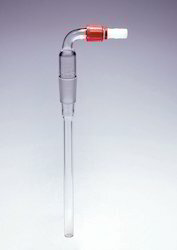 We are one of the prominent manufactures and suppliers of a wide range of Glass Valves. 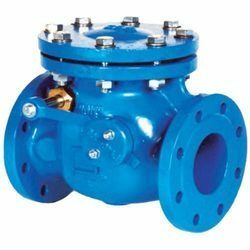 These valves are widely used in various industries owing to premium quality and purpose specific designs. Our products are made from premium quality components to ensure durability and easy maintenance. 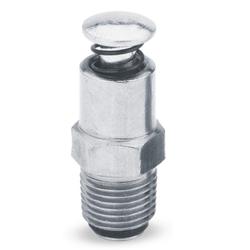 Customers can avail these in various standard sizes and specifications as per their demands. Our products are available at reasonable prices. 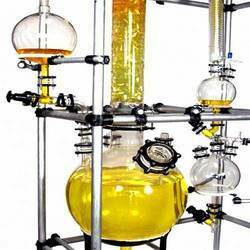 We are engaged in offering our patrons HCl Gas Generation Unit (Azeotropic Boiling Route) with varied capacities, ranging from 5 Kg/Hr to 200 Kg/Hr. The demand of offered units are high as these are in-tandem with universally followed quality norms. Ours is a renowned organization, which is engaged in manufacturing and importing a qualitative range of Packing's Required For Various Column Sections (Kgs.) We have manufactured these sections in compliance with the international quality standards & norms. 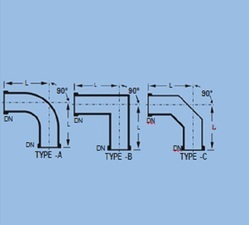 We introduce to our clients a compendious gamut of Steam Inlet at industry leading prices. These products are manufactured in accordance with current market requirements using high quality raw material. Our range is rigorously tested by our quality inspectors at every stage of product development in order to ensure supply of flawless products to the clients. 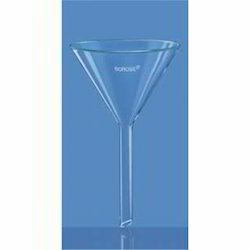 We are engaged in offering an extensive assortment of Borosilicate Glass Flask to our prestigious customers. These flasks are manufactured using supreme quality raw material, which is procured from the renowned vendors of the market. Our range is offered in myriad of shapes and sizes in order to meet the variegated demands of the clients. DN DN1 L L1 Type Cat.ref. 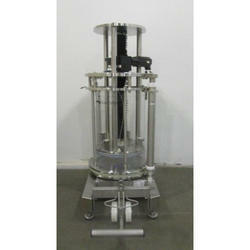 We are one of the reputed organization engaged in providing superior quality 10 Degree Glass Bends. Durable and abrasion resistant, these glass are available in various colors and can also be made as per the varied requirements of our clients. 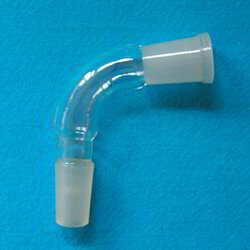 This Glass Bend has been tested in various terms to qualify for carrying out successful experiments. MS PFA Lined 90 Degree Elbows. Offered array is manufactured under the strict supervision of expert professionals using quality approved raw material. Additionally, the raw material procured withholds Material Test Certificate and Internal Test Reports.